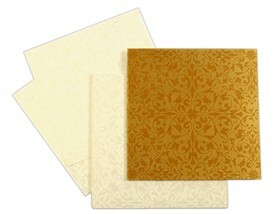 D-5826, Brown Color, Designer Multifaith Invitations. 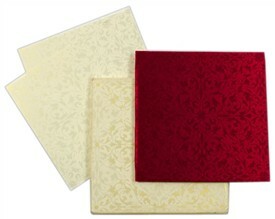 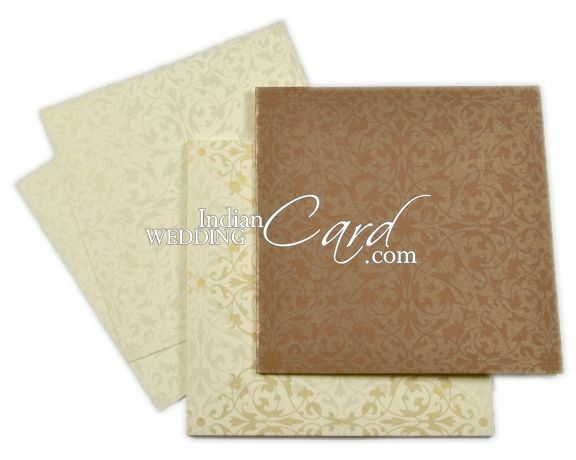 This Thick card has beautiful paisley design printed in self-color all over the front. 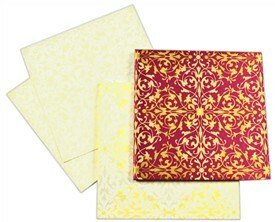 All the other items have the same design printed all over in pearl color. 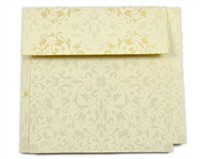 Front can be customized with symbol of your choice.